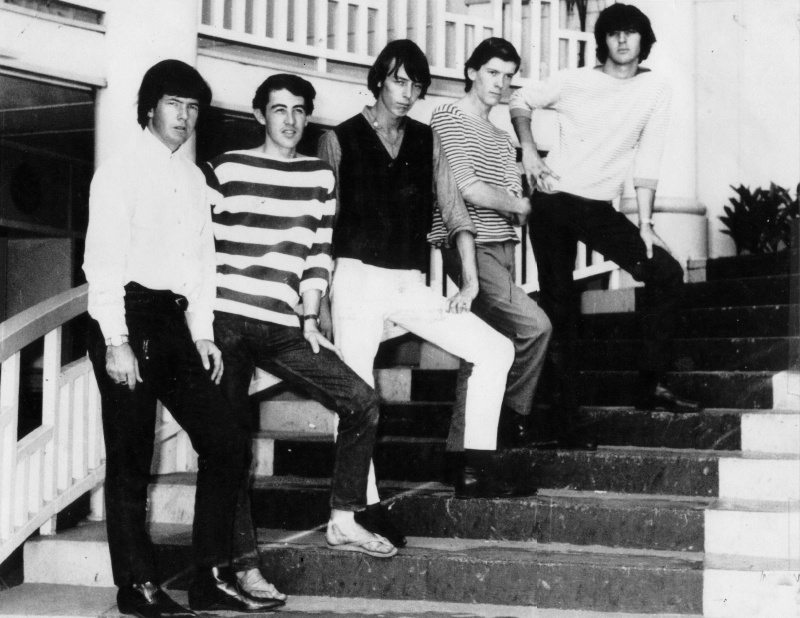 Peter “Bunt Newing (r.g), Denis “Speedy” Gilmore (d), Jimmy Cerezo (l.g), Vince Lipton (b), Bob Cooper (v) and Bill London (v) – Bruce “The Phantom” Robinson repl. Lipton in Dec. 1964, Ron Peel repl. Jimmy Cerezo in Mar. 1965, Shane “Shagger” Hales repl. Bob Cooper in 1966, Gus Fenwick repl. Ron Peel in Sept. 1966, Peter Newing leaves in Nov. 1966 – not replaced. Band breaks-up in June 1967. Forming around August 1964, they (the band) were billed in advertisements as London Boys and The Pleazers.